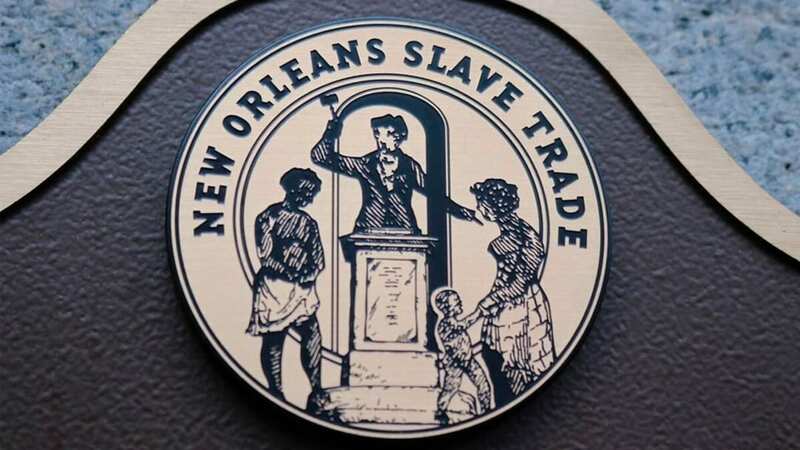 NEW ORLEANS (AP) — The city of New Orleans has unveiled a smartphone app tour of sites involved in the slave trade during the 18th and 19th centuries, including the pre-Civil War years during which the city was the nation’s largest slave market. The project, officially launched on Thursday, is affiliated with New Orleans’ tricentennial celebrations. It comes as cities around the country are shining an unblinking light on slavery and racial violence through such projects as a slavery museum outside New Orleans, an Alabama memorial to victims of lynchings, and the preservation of slave cemeteries. In a later segment, an actor reads from a Federal Writers Project interview in 1937 with Virginia Bell, who was born enslaved near Opelousas. “My mother’s name was Della. That was all, just Della,” she begins. She tells about her father, “sold away” from a wife and five children in Virginia. “I don’t know what became of his family back in Virginia, because when we was freed, he stayed with us,” she said. The stops include five with markers created for this project — a sixth is underway — and two with markers created by another group. Unlike state historic markers, those made for the project are mounted directly on buildings and topped with the project’s logo: a black man, woman and child around an auction block behind which a white man has raised a gavel. If all the stops are taken in their listed order, the tour covers nearly 4 miles (6.4 kilometers), including more than a mile of backtracking. A map navigation button can be used to find nearby sites, with pop-up boxes to show each site’s name. That in turn will show an image, a list of audio tracks for the site, and directions to the next.